Pavilion Architectural Bollard offers SiteSync wireless control. MOROCCO LED Bollards offer a CRI of greater than 80. 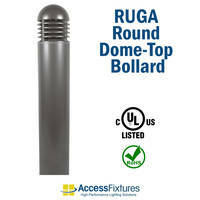 PORTAL EXIT Bollards are compliant to UL924 and CSA Standards. VENU Bollard Lights offer CRI of 70. Featuring aluminum heat sinks, VENU Bollard Lights are suitable for illuminating pathways, sidewalks and commercial facilities. Emitting up to 3,000 lumens of light, units are available in 25 W and 35 W rating with choice of 3000 K, 4000 K and 5000 K light temperatures. Delivering up to 50,000 lifetime hours, lights come in round dome and flat-top style in louvers or cone reflectors options. 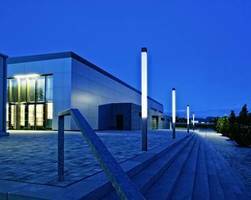 SIERRA LED Columns and Bollards feature direct and indirect reflector elements. LED Bollard Lights feature true Type 3 optics. Using unique arrangement of LED arrays, 36 Watt LED Bollard Lights project light to front and sides while letting almost no light escape out back of light. 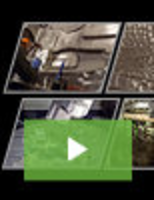 True Type 3 optics enable safe egress on walkways, in parks, and in parking areas without allowing light to pour onto bordering properties or bodies of water, which is often considered light trespass. LED Bollard Light offers louver-controlled light source. Utilizing cast aluminum louvers to block LED light source from direct view, 16 Watt LED Stainless Steel Bollard Light minimizes glare and limits light trespass. 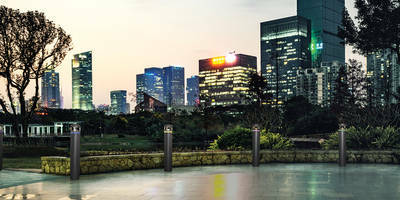 Unit is offered in 4 different Kelvin temperatures of 2,700, 3,000, 4,000, and 5,000 K. Depending on color temperature, energy-efficient bollard can deliver up to 1,800 lumens. 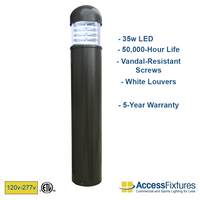 LED Bollard illuminates variety of pedestrian areas.